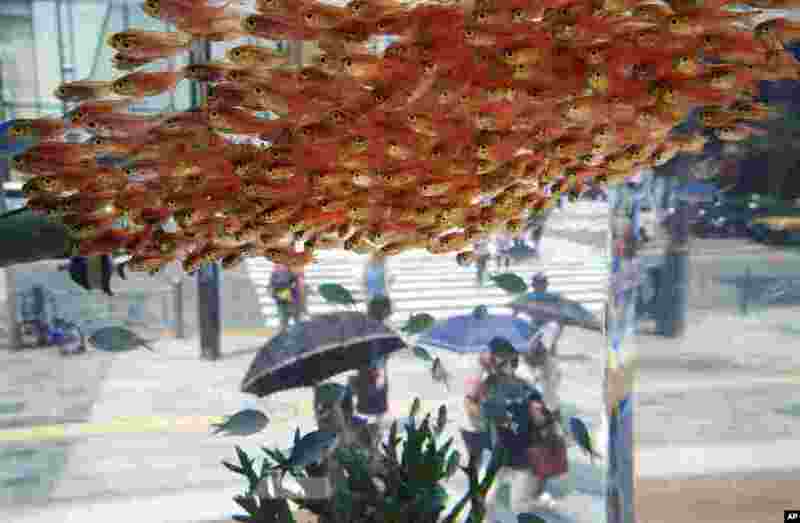 1 Passers-by look at fish swimming in a large glass tank displayed at Ginza shopping district in Tokyo, Japan. 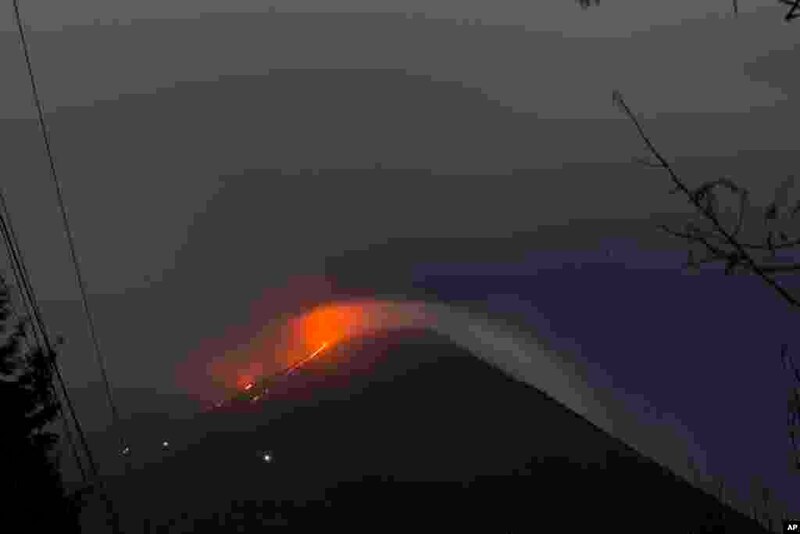 2 Pacaya volcano spews lava, viewed from San Vicente Pacaya, Guatemala. 3 A Somali soldier checks a man at the entrance before a handover ceremony as African Union Mission to Somalia (AMISOM) leaves from the Mogadishu stadium in Mogadishu. 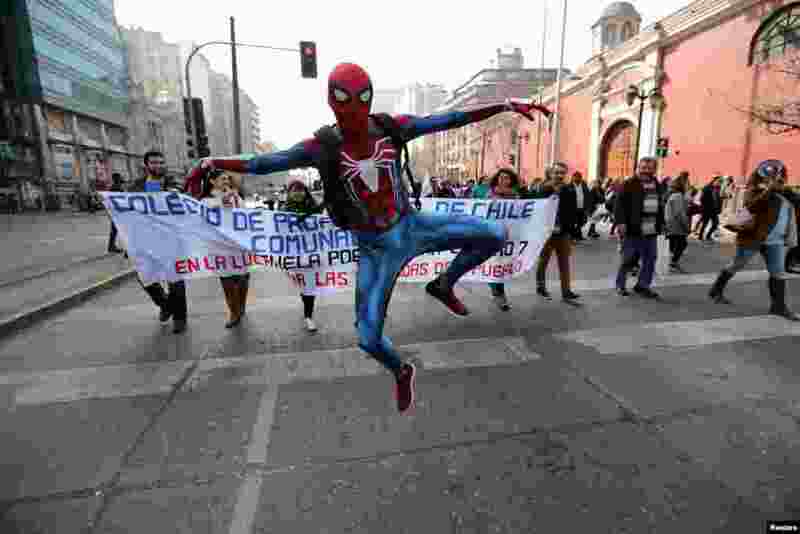 4 A demonstrator wearing a Spider-Man costume attends a teachers' march during a national strike demanding better working conditions in Santiago, Chile.